Even though I write and speak as part of my career, and even council others on communication, I’ve been confused, nervous and speechless in the past when I’ve seen family or friends who were diagnosed with cancer or got other really bad health news. Do I act upbeat or sympathetic? Do I ask questions or avoid the topic? Usually I say little and feel like I wasn’t supportive enough. Don’t give medical advice or medical information, unless asked. Your attempts to share everything you find on the Internet—from healing cystals to coffee bean enemas to innovative new medicines—may actually mislead, confuse or stress out your friend. Unless they ask for your help in this area, you should assume their doctors are giving them what they need. Don’t keep making it about you. 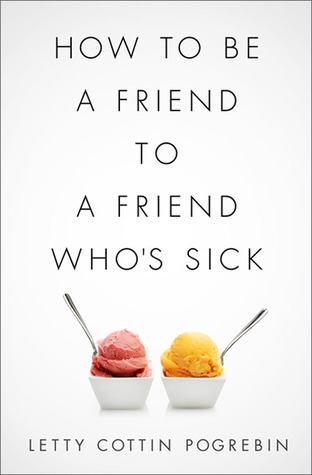 If your friend just received a terrible diagnosis, they don’t need to hear about what a jerk your boss is, or how you have a terrible headache. Talking about you doesn’t mean they aren’t thinking about their own situation, and it can come off as unsympathetic. Do talk about normal things. After expressing empathy and support, it’s OK to talk about things other than their condition. If you would normally talk about the Yankee’s game or the latest episode of Mad Men, go for it. Just to use other topics to avoid talking about their condition. Do let them set the agenda. If your friend wants to talk about other things than their illness, that’s fine, you should encourage the conversation. But it’s also fine if they just want to talk about it and cry. Don’t minimize their feelings by trying to change the subject or cheer them up. Just cry with them, hand them tissues, and give them a hug.